In the midst of our rush to earn money, our scramble to save for retirement, our focus on frugality, it's easy to lose sight of why we're doing this. What is the goal? What is it we're trying to do by getting rich slowly? For me — and for many others — the answer is to achieve Financial Independence. What is Financial Independence? Why is it a worthy goal? To me, Financial Independence means “getting out of the rat-race”. Your Money or Your Life — still my favorite book on frugality and personal finance — defines Financial Independence as “having an income sufficient for your basic needs and comforts from [sources] other than paid employment”. Passive Income is money that you earn without having to work for it. When you earn interest on a savings account, you are earning money passively; it accrues whether you're working or not. As with most money strategies, it's best to diversify your sources of Passive Income. The more sources of Passive Income you can implement, the safer your money supply. In some ways, Financial Independence is another way to look at Retirement. Retirement is a loaded concept. Most people think of Retirement as something that will occur far in the future, something that requires lots of work and lots of investing. Most books that focus on Financial Independence ask you to change your way of thinking. They don't talk about Early Retirement, they talk about Financial Independence because it forces the reader to approach the subject from a new direction. Some people who focus on Retirement are concerned only with increasing income and investments. People who focus on Financial Independence are just as likely to spend their energy looking for ways to reduce their current expenditures, to save money, to live cheaply. The lower your cost-of-living, the sooner you can achieve Financial Independence. Financial Independence may seem like a pie in the sky ideal. It's not. This is your goal. This is what drives you. This is what you're trying to achieve. Of course it seems like a crazy dream: it's your final destination. But if you don't fix this in your head as something you want to obtain, you'll never achieve it. In order to become Financially Independent, you must make the decision to pursue it. 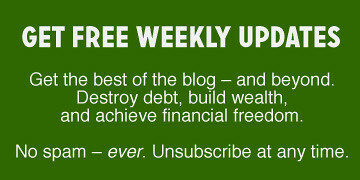 There are 6 reader responses to "Toward Financial Independence". I love passive income. You can get addicted to it. People who get filthy rich as young do not retire, they are independendt and can live their own life. In a way it is badmouthing them to say that they have retired. They just managed to escape the rat race. Great post” See you soon. But a lot of passive income depends on having other people at the bottom of the pile. Rental property works mostly when there are others who cannot afford their own property, plus it drives up the price of housing too (everyone with a bit of spare cash doing the buy-to-let route, at least in the UK). The pressure on companies to deliver dividends and growth means they often use suppliers in poorer countries and pay a pitiful wage. Even if they don’t, they still rely on workers who are prepared to work for less. Business ownership though, that’s a damn good idea and one more people should go for. I did it 4 years ago and, even without taking a wage for the first year I still cannot express how much my life has improved. I agree that owning a business is a damn good idea. I am refuting the comment made about real estate investing. I must first admit that I am biased towards real estate investing since I’m a real estate investor. I would make the case that while real estate investing is not passive to a novice, there are many ways that you can become a real estate investor and have very close to passive income. You can do this without trading your job for another job as would be the case in owning a business (I assume traditional store front business). As a real estate investor, you are able to have many properties under your belt and cash flow permitting, turn it over to a property manager. There are also other ways such as being a passive partner in a real estate deal. Mortgage brokers that deal with real estate investors would be a good source. You could also invest in real estate notes (i.e. you are the bank). Hello, I am a single male with an identical twin brother who is also single. We have no families of our own yet and we are constantly talking about investing. We have all the time to go into some type of business deal. We are poor, we know hardly ANYTHING about investing and how to make money work. We anxiously want and need a passive income of some kind. I guess what I am asking for is for somebody out there to help me with information as to how a poor guy with no money can get a great start to becoming financially independent. I am desperate for some type of information as to how we can make our lives change for the better. Please if anyone knows where I may go or know where to send me for this information, I would so greatly appreciate it. Thanks.